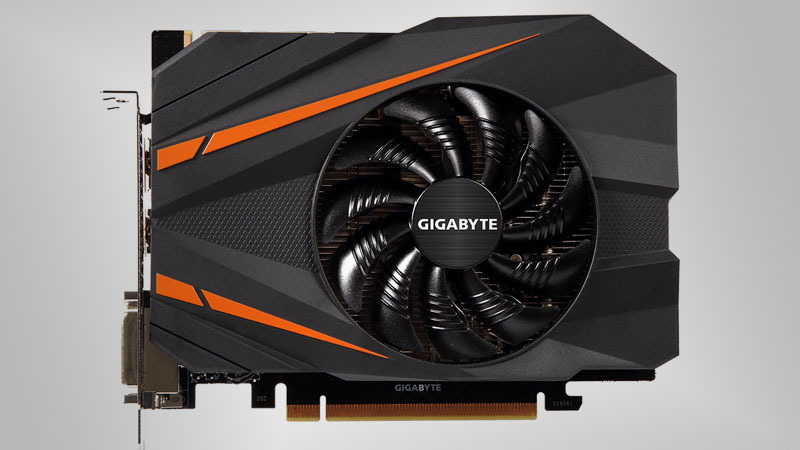 Gigabyte has unveiled a tiny but powerful Pascal graphics card – the GeForce GTX 1070 Mini ITX OC. 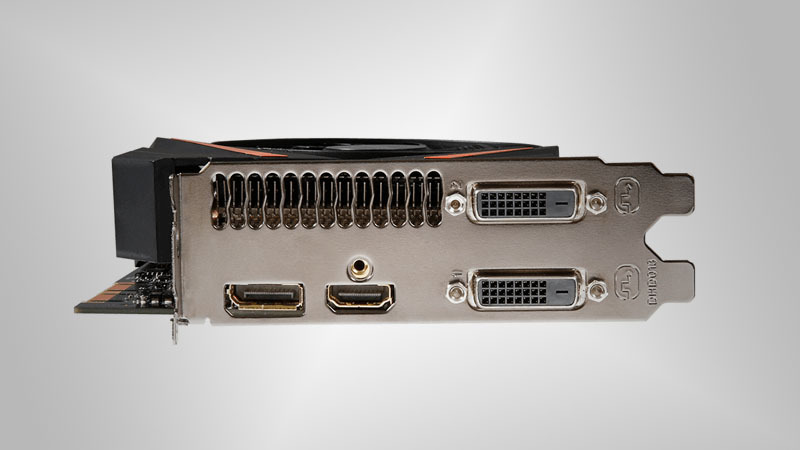 The GeForce GTX 1070 Mini ITX OC is a small GPU, measuring only 169mm in length and sporting only a single 90mm blower fan. 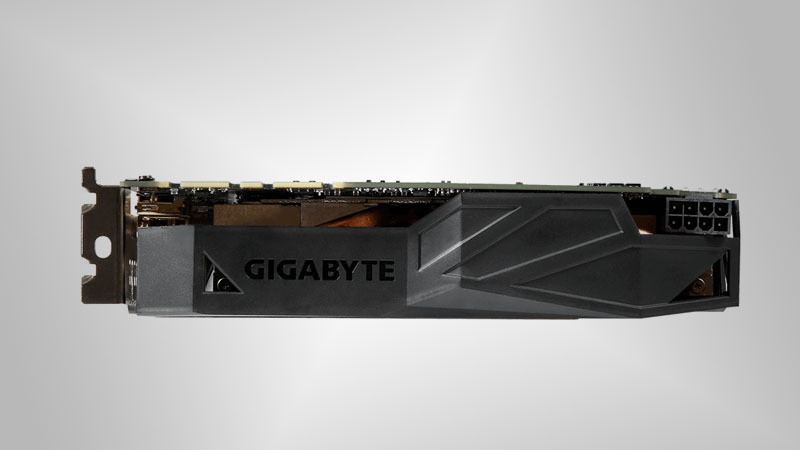 The graphics card is designed for small form factor gaming rigs, allowing ITX builders to take advantage of the latest generation of graphics cards while maintaining small chassis sizes. 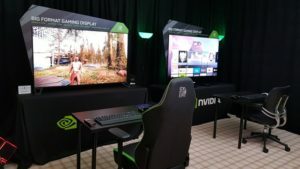 The GPU features a Base and Boost Clock of 1,556MHz and 1,746MHz respectively, when running in OC mode. 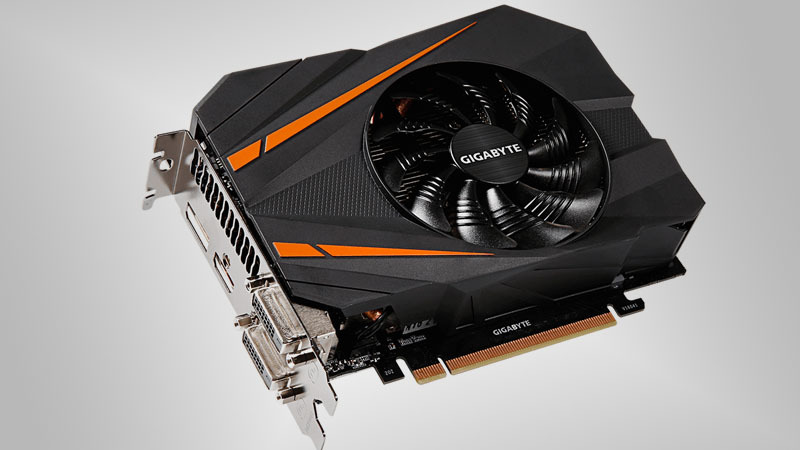 The GeForce GTX 1070 Mini ITX OC uses a single 8-pin PCIe power adapter and Gigabyte recommends that the device is coupled with a PSU of 500W or higher. 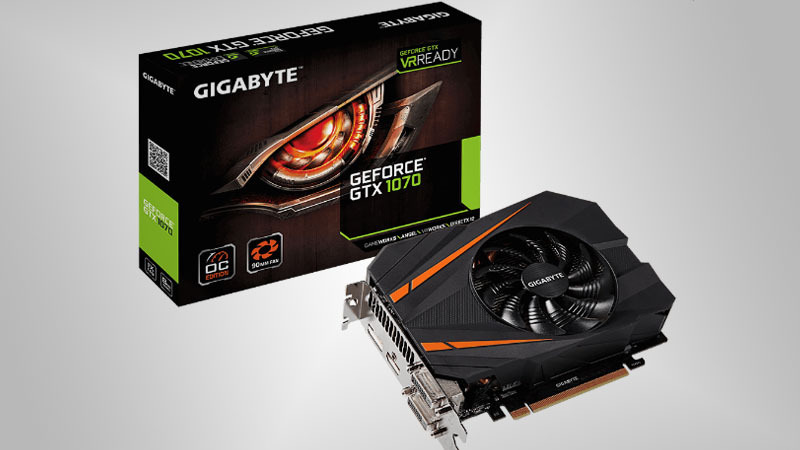 Pricing and release date information is not yet available for the Gigabyte GeForce GTX 1070 Mini ITX OC.